The Antalya Metropolitan Municipality is participating in the international real estate fair the Marche International Des Professionnels De L'Immobilier (MIPIM) 2017 for the third time this year, which is an efficient way to realize institutional foreign investments and promote projects, functioning as the most important meeting point in terms of turning the interests of the countries into an opportunity. In 2015, we started our MIPIM adventure with the motto, "Invest in Antalya." "Moving Antalya to the top of world investment rankings" is our primary target for participating in MIPIM 2017. Antalya is one of the fastest growing cities in Europe and the Mediterranean region with its great potential for development; also serving as a city that offers great opportunities in tourism, agriculture, industry and trade. The city of Antalya, which comes to the fore with its vision projects, is continuing to develop. For investors, Antalya is an attractive city because of its nature, climate, comfortable living conditions, historical and cultural riches, offering a wide range of business opportunities and high quality living standards. This year, we as the Antalya Metropolitan Municipality are participating in MIPIM 2017 with the Boğaçay Marina and Creek Project, the New Kepez Ecologic Smart City via Urban Transformation, the Konyaaltı Project, the Tünektepe Project and the Cruise Port Project. The Boğaçay Marina and Creek Project in Antalya will become a global attraction and a centre of ecotourism by embracing diverse natural beauties and historical heritage. Beyond Turkey, this project will be on the cutting edge of resilient design and will set a precedent for waterfront transformation around the world. The Boğaçay master plan identifies several development projects and infrastructure projects, to guide Antalya's development and to focus on three priority projects: The Marina, Creekside Commercial Area and Film Plateau. 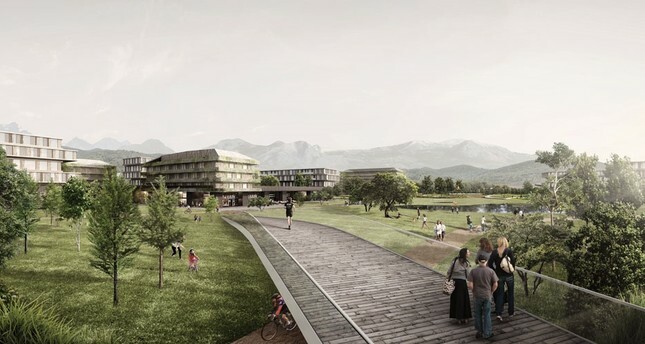 The Kepez Ecologic Smart City is one of the largest urban regeneration projects in Turkey and will be the first implementation of the Ecologic Smart City Vision of Antalya. Having 1.4 million square-meter area, the project offers investment opportunities for Residence, Retail, Education, Recreation, Healthcare, Hotel and Museum. The New Kepez Ecologic Smart City will be the first of its kind where a smart city is created from scratch with several smart city initiatives including infrastructure, energy, mobility, water, lighting, the environment, security, health and smart home and integrated technology solutions for 60,000 residents that will live and work in the region, beginning from 2019. The project basically alters the problematic condition of the Konyaaltı Waterfront which lacks a well-integrated fusion between the fabric of the city and the coast. By creating a new urban waterfront through the whole strip (7 kilometers in total), it transforms the existing shoreline into an active urban interface. This new urban waterfront incorporates vehicles and pedestrians, natural and urban settings, local life and city-wide activities. The revamped Konyaaltı coastline aims to be the city's recreational hub as well as a functioning beach. It's been designed to be an effective coastline at any time of day for diverse users. This design approach searches for new ways to create new space typologies in the open field. Tünektepe Hill is on the western side of Antalya and 600 meters above sea level. Its unique location offers sea, mountain and Antalya views from a panoramic vista point. One of the most significant features of the building designed there is that it can be seen from every point of the city. The design is aimed to become the city's landmark. During the design phase, mandatory priorities were taken into account including site topography and main access points from a cable car drop-off platform. Along the public circulation route from the drop-off platform towards the main square on top, different levels are connected by terraces which are used to host public cafes, restaurants and retail spaces. Hotel spaces are planned on the western side of the building, separately for privacy. Cruise Port Project could provide service for 426 yachts and 4 cruise ships at the same time 365 days a year with its technical infrastructure and superstructure. It is the first among its peers in the world with an undersea tube tunnel length of 800 meters. With this project, the tourism potential of the region especially in the winter months with targeted volume of 1,000,000 passengers per year will be mobilized. This Signature Project, which will be integrated into the city of Antalya, will be among the most important symbols of the 2023 Turkey Tourism Vision with its design differences, location, amount of investment and capacity.